Maximize your success with your youth! Roundtables are monthly, district-wide continuing-training events held to keep leaders’ skills sharp. The roundtable commissioner and staff demonstrate elements of a model troop or pack meeting that leaders may use as a pattern for their own meetings. As a result of the roundtable experience, unit leaders will be inspired, motivated, and able to problem-solve and provide a stronger program for Scouts. 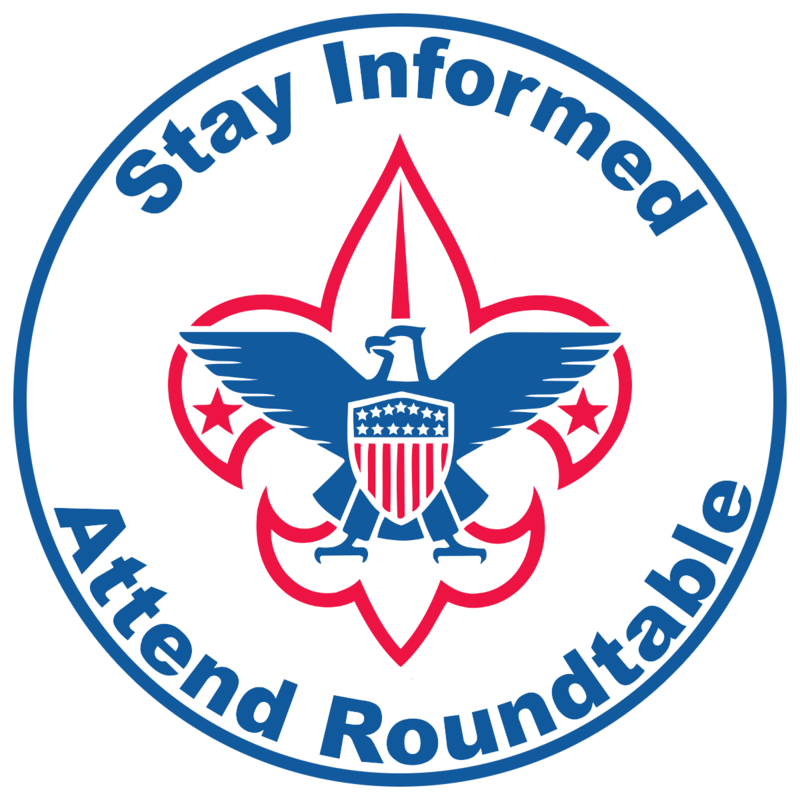 We have breakout sessions for the respective program areas (CORs, Cubs, Boy Scouts, Older Boys, etc), and it is suggested that you attend roundtable consistently your first year in your calling in order to have the support of other leaders and hands-on practice for your calling. The montly topics for the breakout sessions can be found at Roundtable Training Calendar. The Black Diamond District hosts both Stake (Sub-district) and District Roundtables. Roundtables are always held on the 2nd Thursday of the month at 7:00 p.m. During the month of July no roundtable is held. All other months - except July - are Stake Roundtables held in locations determined by stake leaders. General Utah National Parks Council Roundtable information can be found here. Black Diamond District fliers and activity announcements are disemminated at each Roundtable. If you would like to add an announcment or a flier, email a pdf to lee.ferrin@scouting.org. The National Council, BSA provides a variety of support programs, training and documentation for Roundtable staff. Please visit the following links for more information.